Hanoi Transport Services Corporation (Transerco), in co-operation with Telecoms Group Viettel, will launch the bus rapid transit (BRT) e-ticket line 01 from Kim Ma to Yen Nghia as a pilot program next Wednesday, October 10. 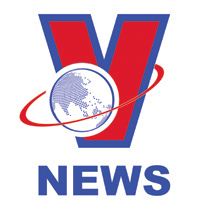 Viettel and Transerco have made joint investments in the installation of security cameras, a control gate system, ticket selling machines and internet services at 23 bus stops along the route. E-ticket software and passenger management databases have been implemented at the municipal Department of Transport’s public transport management and operation centre. Passengers using daily and monthly bus tickets for a single route will be eligible for the e-ticket. Those who use multi-ride tickets will be supplied with an automatic entrance paper ticket with a QR code to get through the card readers. The prices of e-tickets will be unchanged during the pilot period, ranging from 7,000 dong (US $0.30) per ride for daily ticket passengers to 100,000 dong ($4.30) for monthly single route tickets and 200,000 dong ($8.60) for monthly multi-ride tickets. BRT stops at Kim Ma, Nui Truc, Hoang Dao Thuy and Yen Nghia. The stations will be equipped with e-ticket machines. Passengers can register for e-tickets or exchange tickets at http://timbus.vn/Ticket or on the mobile app Timbus. An estimated 3,000 e-tickets will be issued during the trial period. Nguyen Thuy Linh, a bus passenger in Ha Dong District, said she was excited to learn she would only have to swipe the card over the reader to get on the bus instead of showing her card to a ticket officer. However, she said it would be inconvenient for those who use multi-ride tickets like her, as they will need to get an automatic entrance paper ticket each time they get on the bus. She also said the card readers could be improved. “It took a while to get past because they were slow at reading the ticket codes,” she said. 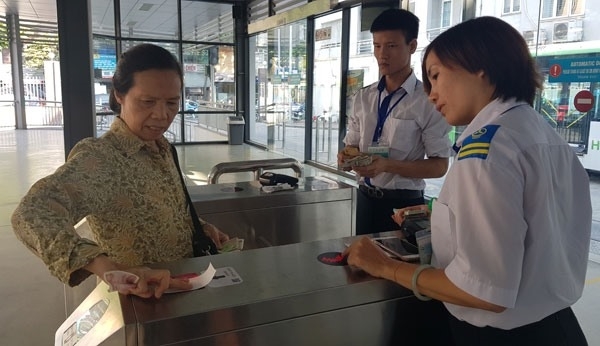 Nguyen Quang Thanh, another bus passenger on Giang Vo Street, said he had to ask for help from the ticket officers as he was not familiar with the new system. A BRT bus assistant said the application of e-tickets would improve the quality of service and reduce the work load of bus staff. He said it would take time for passengers to get acquainted with the new system. 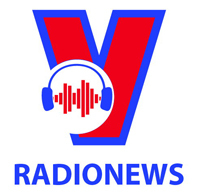 Nguyen Cong Nhat, deputy head of Transerco said the trial period will help State agencies and enterprises get accurate figures on demand and use of the new automatic system. He said State agencies would make changes to better serve passengers based on the information. E-tickets could replace paper tickets for other modes of public transport in the future. This will reduce printing costs and save time. Hanoi will expand the e-ticket model to the city’s other bus routes if the trial is successful.